Hay celebrates great writing from poets and scientists, lyricists and comedians, novelists and environmentalists, and the power of great ideas to transform our way of thinking. We believe the exchange of views and meeting of minds that our festivals create inspire revelations personal, political and educational. Here in Minnesota, to celebrate academic Summer as that time to name, pursue, discuss, reshape and expand big questions, I’ve asked a number of TILT readers and bloggers to put into question format the conversations regarding learning and teaching that we have taken shape in our reading, writing and discussions with colleagues during the past year. These questions reflect our desires as scholars and community members to (1) understand learning and teaching as it happens now and (2) imagine ourselves into the ways and byways of higher education in the 25 years to come. And the testing, shaping of questions is part of CTL’s preparing to celebrate histories of its major programs and emergence as an entity on the UMinn campus. Three things to know as you move into reading the questions – we want to hear from you: What are your responses to the questions? What questions would you add to or subtract from this list? And, as this Center for Teaching and Learning is about to move into its 25th year, we’ll be making use of summer thinking to build a list of 25 questions to guide the development of half of our blog posts for the coming year. Perhaps, as you share your responses and your questions during the summer, you’ll also want to claim a question as one you’d blog about here during the coming year. We hope so. To the starting out questions: Read! Ruminate! Discuss! Hit reply or email us to send your questions! And, we’ve added to the end several new questions that have come in during the week this entry has been posted. 1. If we stopped asking students to read textbooks, what different sorts of “texts” might university teachers incorporate into student learning? And why? 2. Who taught you the first thing that you remember learning – vividly or in some hazy way, and why has that lesson stayed with you? 3. What piece of writing from you academic life has most changed your heart and mind? 4. Are you happy watching the ways students interact in your classrooms – whether in person or online or in communities? If yes, why? If not, where do you begin doing something about it? 5. What factors determine the ideas at the core of each course you teach? Or, in another way of asking this question: Who and what are the most important influences on you when you make decisions about how and what to teach? 6. If you became the leader of a higher education organization (such as the Carnegie Foundation for the Advancement of Teaching, or the Higher Education Academy, or of Million+) what would you boldly and clearly say needs to be gotten rid of first? 7. Teach a new faculty member or first year student – neither in your academic unit – something important you know. What and how would you be teaching? 8. What living leaders and teachers, scientists and artists, writers and musicians, public intellectuals and pundits are opening the doors of the future for learning? 9. What was the best learning experience you have had as a learner, and what have you done to transfer that to your practice? 10. There are usually two types of teachers who stay in our minds and shape our ideas about learning: the really bad and the really good teachers. What do you see of both these types of teachers in the classroom strategies have you devised? 11. How will we come to recognize and nurture ways of knowing that defy our concept of “testing”? And if we start recognizing them, will we turn around and start coming up with ways to test them? 12. How will our disciplines evolve (or disappear) as we adapt to meet 21st-century challenges? 13. What lasting role will there be for educational institutions and for bricks-and-mortar campuses? 14. How can learning take full advantage of diverse expertise located in our communities and our students, as well as our faculties and staffs? 15. If you could design a college classroom (of any size) from scratch, with no budgetary constraints, what would it be like? 16. What do students need to be successful in college that they probably aren’t getting? 17. What issues about student learning in higher education have persisted over the last 25 years that still need to be resolved? 18. How will our growing knowledge of the cognitive architecture of the brain result in novel or innovative ways of instruction for students? 19. What formats will “classroom interaction” take in the next decade, and what should be the criterion for comparing the benefits of these different forms? 20. How will you cultivate multicultural learning – learning that re-examines and expands what is taught, attends to who is in the classroom, and is transparent about why learning and diversity matter? 21. If a genie offered you a solution to only one major problem related to learning and teaching, what problem would you pick – and what would you be including in your wish for the results of the change requested? 23. What is the role of learning and teaching in bridging knowledge/cognitive development and emotion/affective development? 24. Pick a topic. How would you teach it non-verbally? 25. What one sentence statement, argument, assertion, or question would you offer to students to encourage them to pursue your field of study or interdisciplinary focus? 26. One US college regularly requires faculty to teach a course outside of that person’s area of expertise. Consider the impact of doing that very thing on your own learning and personal development. Then consider how this would benefit students enrolled in a course you most regularly teach. 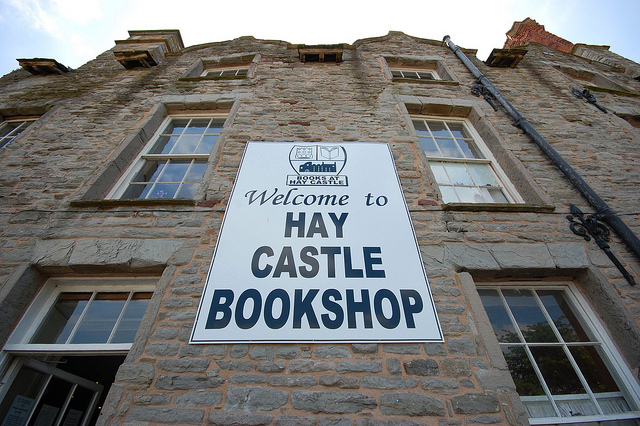 All photos here taken in Hay-on-Wye and are shared via Creative Commons Attribution-ShareAlike License; attributions in order of appearance: Ismas, NedRichards, addedentry, and BrettLeesSmith. 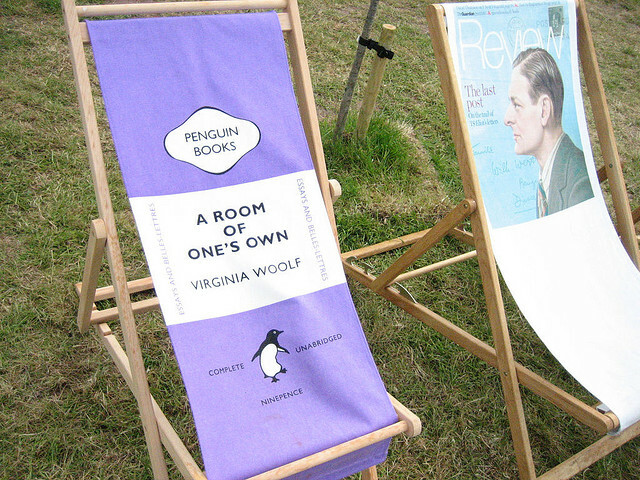 ← Calling all TILT readers: Feedback, please!